As a self-confessed olive fiend, I was delighted to hear that my favourite gnarled tree was also now gifting us with a certified organic olive leaf tea courtesy of some olive groves on the Majella Mountain. This mountain sustains 45% of Italy’s wildlife and is named after the pagan goddess Maja, aptly the mother of crops. Mirabilia’s groves are situated on the Cluviae archaeological site, that was once home to Abruzzo’s Italic Adriatic tribe the Sanitti. They preferred to live in the valleys that were carved out by mountain rivers, and the trees still enjoy these pure waters that run from the Apennines. The breezes from those same mountains ensure that the trees remain free from flies and pests. 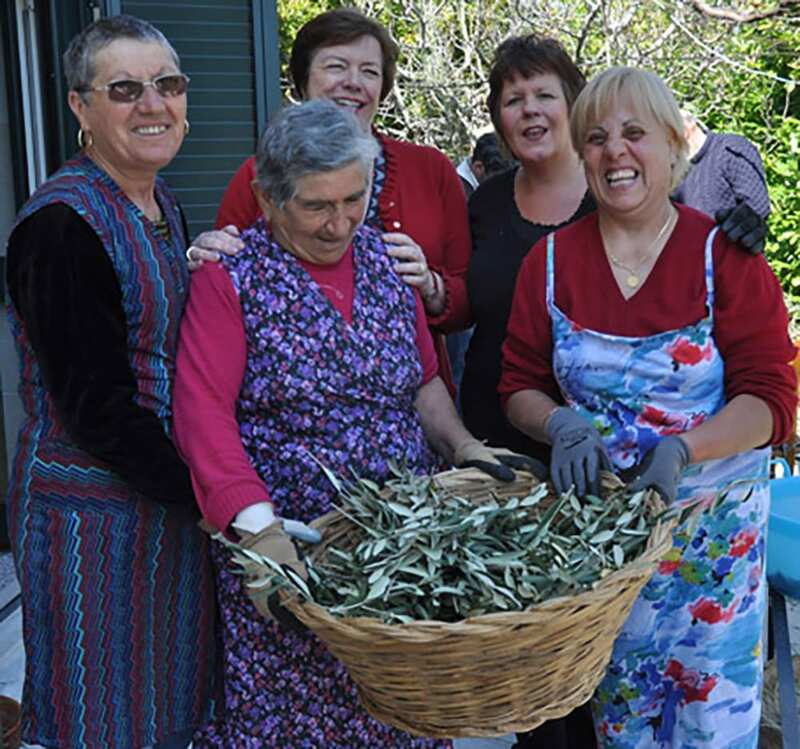 The tender olive leaves are hand-picked by local ladies once the dew has dried and then slow-dried in ovens. This protects the anti-bacterial polyphenols, a mixture of hydroxytyrosol and oleuropein…if like me you have no idea what these are, they’re the combined substances which protect the trees from disease and the bitterness that we draw out when olives are cured. help boost the body’s defences when fighting viruses, particularly useful in the coming winter! 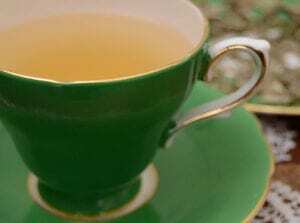 Add to this that you are cutting down on food & water miles, combined with twice as many antioxidants and vitamin C than green tea, this could sway a lot of green tea lovers over to olive leaf tea methinks. 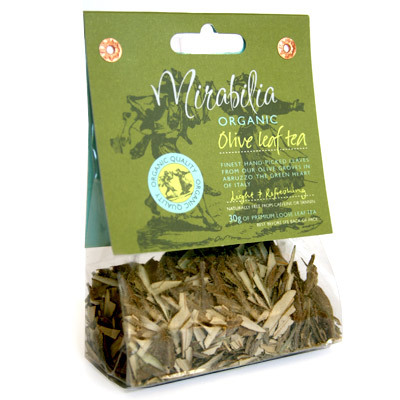 Mirabilia Tea is beautifully packaged which is no surprise considering its creators are an interior designer and artist, top marks to the company for actually getting the packaging produced in Abruzzo too. The tea’s taste reminded me of Japanese bancha tea, slightly woody but without its salty bitterness, in fact it wasn’t at all bitter, just incredibly refreshing with a very muffled, but clean olive high note. A small cup of this, served in-between courses would be wonderful palate cleaner especially if you have fickle guests for dinner that demand no caffeine or tannin to discolour their whiter than white smile! For those frugal like me, you’ll be pleased to hear that my little experiment in seeing if I could get a second draw from Olive Leaf tea proved successful, the leaves could be used again and produced another cup not quite so strong but perfectly acceptable. The tea has now been picked up by the New York tea house Thomas Harney and Whittards of Chelsea.